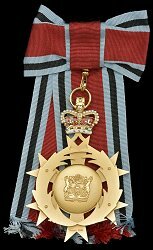 Ribbon: Red with light blue-edged black edges. 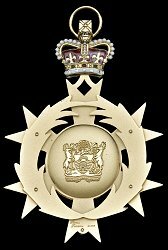 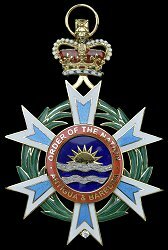 Awarded: For distinguished and outstanding service to Antigua and Barbuda. 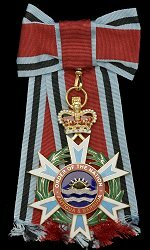 Grades: 6 (Knight or Dame Grand Collar, Knight or Dame Grand Cross, Knight or Dame Commander, Commander, Officer and Member). 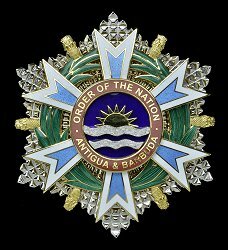 Post-nominal letters: KGN/DGN, KGCN/DGCN, KCN/DCN, CN, ON or MN.